For anyone working with students with Autism Spectrum Disorders, this one is for you! I work with students in two different self-contained ASD classrooms. I am always looking for ways to expand the students' utterances when talking about items. I have found that talking about category and function is a great way to expand utterance length as well as working on some semantic skills. I created Functions and Categories to target exactly that- functions and categories! There are 28 item cards, 7 function cards, and 7 category cards. 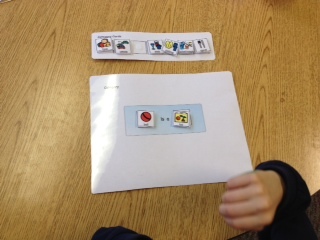 These cards fit onto the visual sentence templates. 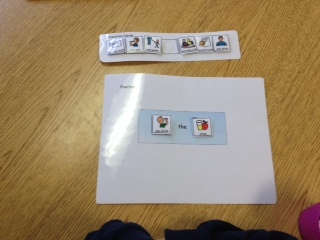 I recommend using velcro to attach the cards to the sentence strip. Graphics by: The Picture Communication Symbols ©1981–2010 by Mayer-Johnson LLC. All Rights Reserved Worldwide.